The Scoop: David Coleman earned his reputation as The Dating Doctor by speaking at over 3,000 events and coaching couples toward their happily ever afters. He has inspired people as a motivational speaker and relationship coach, and now he has added wedding officiant to his résumé. With steadfast professionalism and poise, David shares his relationship insights in personalized wedding ceremonies full of love and appreciation. As a motivational speaker, David Coleman (aka The Dating Doctor) has spoken to more than 2.5 million people in the U.S., Canada, and Europe. 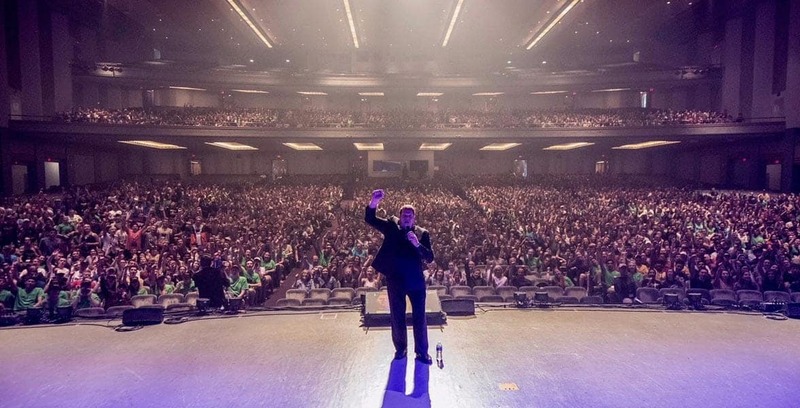 He has traveled to all 50 states and visited over 3,000 college campuses, corporations, conferences, churches, civic organizations, and military bases worldwide. David Coleman has delivered sage advice at over 3,000 speaking engagements worldwide. David has also had a significant impact as a professional dating and relationship coach. In one-on-one sessions, he reinforces important love lessons and builds people up so they’re ready for love. 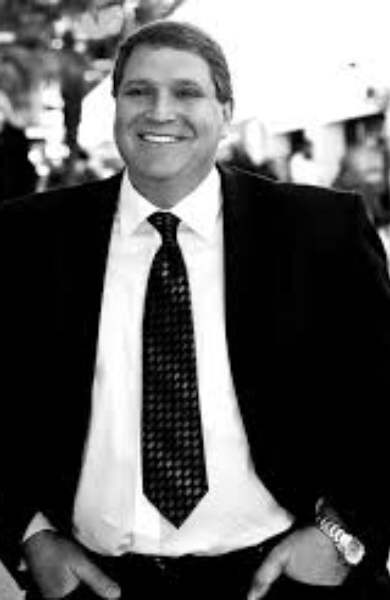 Throughout his career, David has been featured as a dating expert on national radio shows, television shows, and print media, including The Wall Street Journal and The New York Times. All that success has helped David share a universally loving message with people across the country, and now he aims to personalize his message while helping couples tie the knot. In 2015, David officiated his first wedding, and he found it was a thrilling experience. Soon afterward, he decided to expand his repertoire to include his caring assistance as a wedding officiant, and his clients have jumped on the opportunity to be married by The Dating Doctor. David doesn’t have a cookie-cutter approach as a wedding officiant. 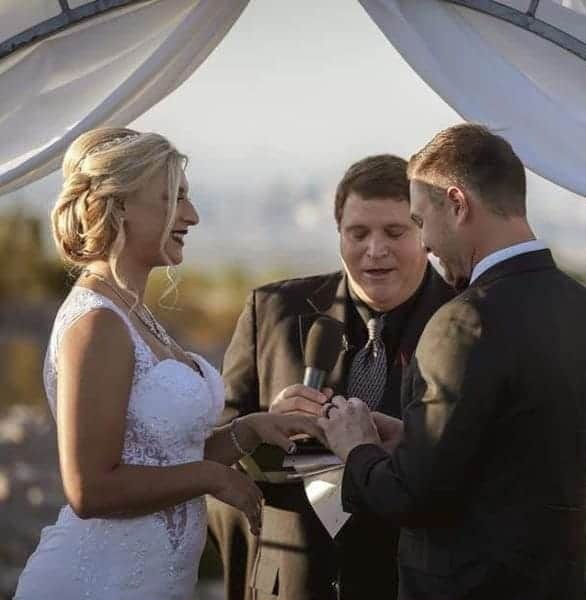 Each relationship is different, so he strives to make each ceremony unique. He takes the time to get to know the couple and their families, so that he can express the love, gratitude, and wonder he sees in their hearts. His experience as a speaker and entertainer helps him send a positive and compelling message that resonates with the couple and their guests. Now couples can book the Dating Doctor as their wedding officiant to bring added meaning and depth to their wedding ceremonies. David has officiated several weddings the past few years, and hopes to expand that service in the coming years. He said he’d love to officiate more weddings and do more to help couples create a special wedding celebration. Of course, he has to juggle a busy calendar of speaking engagements and private coaching and consultations, but David is enthusiastic about working with couples when everything lines up. The Dating Doctor does his homework and gets to know couples before agreeing to officiate their weddings. He wants to ensure it’s the right fit, so he learns about their love stories, personal philosophies, and plans for the future. Once he establishes that the couple has a healthy relationship, he agrees to be there for them on their wedding day. Many of David’s former clients have asked him to officiate their weddings. The next step is to decide what David should say on the big day. He talks to the couple about who they are and how they feel about one another, and together they craft a ceremony script that expresses their devotion and captures their relationship. David said he tailors everything according to the couple’s wishes. He can do most of the talking for them, or he can yield to their voices and let them take the lead. In many cases, couples ask David to share poignant and light-hearted words of wisdom to bring gravitas to the event and remind everyone how important and incredible love is. David said he may add humor to the ceremony if and when the time is right, but ensures that he strikes the right tone and preserves the intended spirit of the event. David described his officiating style as “relaxed harmonious inspiration.” He’s there to make people happy and get a new marriage started on the right foot. He excels at giving people those warm, fuzzy feelings as he talks appreciatively about love and commitment. Officiating a wedding is a big and important task, and it’s not one David takes lightly. He stays upbeat and supportive throughout the planning process and particularly on the wedding day, and does whatever he can to help everything run smoothly. David draws from years of experience speaking at over 3,000 conferences and events to deliver a memorable and thoughtful message as a wedding officiant. He knows how to put a finishing touch on the ceremony and make it something special, while never overshadowing the couple who’s the center of attention. David developed his stage presence by speaking in front of large audiences. David has been a rock for couples, many of whom he knows personally, on one of the most important days of their lives. He facilitates a joyful, entertaining, and meaningful wedding that’ll stay in the hearts and minds of all in attendance. So far, David has not heavily promoted his services as a wedding officiant, but he hopes to grow that side of his business and become a go-to relationship guide for couples making a serious commitment. David’s healing and wholesome approach as a dating and relationship coach has resonated with many couples, and it’s no wonder so many have reached out to him to officiate their weddings. He can speak with authority about the power of the love and strength of relationships, and his insights often bring tears to people’s eyes. Becoming a wedding officiant has brought a lot of joy to David’s life, and it has helped carry his voice to even more audiences across the country. In the coming years, David plans to unite many more couples in personalized ceremonies, and he even has plans to create his own wedding venue where he can give his clients a unique, loving experience as they begin a new life together.